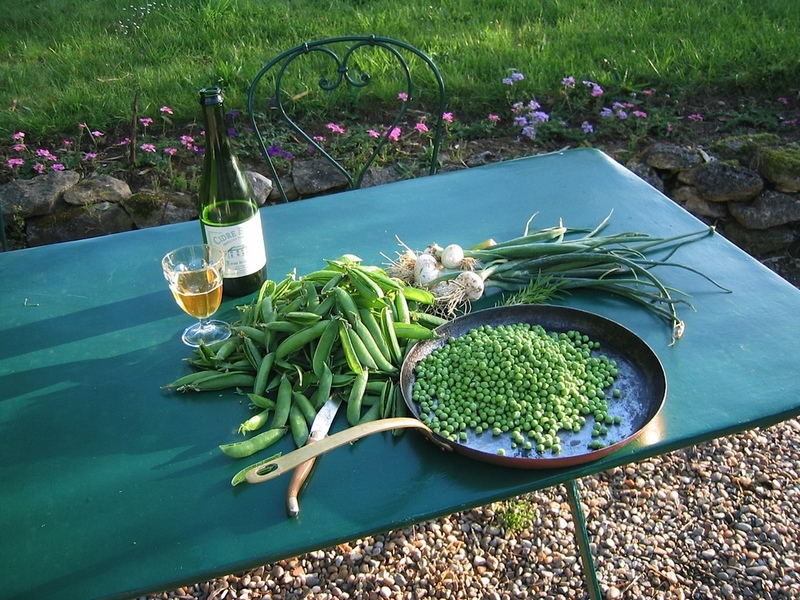 Cooking Classes in Bordeaux France an immersion into french culture, wine and food. We offer a 4 day cooking and wine tour in Bordeaux, France. It is an immersion in Bordeaux life through cooking, learning about the Bordeaux wines, meeting local people and visiting very well known and respected wine cellars/chateaux. Guests arrive on Monday and stay at the lovely private Chateau de Castelnau in the Entre-deux-mer. A diner, cooked by Jean Pierre and Elsa is held there on Monday to welcome our guests. On Tuesday and Wednesday we visit different local farmers markets, in order to buy produce which will be prepared for the meals of the day and meet local farmers. The idea is to see what is in season at different markets and learn to plan a menu with what is available. After the market, visits are held of either a local artisan, a famous Bordeaux chateau/winery as well as the beautiful medieval village of Saint Emilion. Lunches are at our home with products from the morning market, prepared by Jean Pierre and Elsa. Cooking classes take place in the afternoon at our home, a 17th century restored barn, for approximately three hours. The idea of our cooking classes are to teach, as well as prepare with the guests their meal for the evening in order for them to see how to plan a menu and execute a complete meal. Each evening dinners, always prepared by Jean Pierre and Elsa, are held in different locations, from our home, or friends’ house, to a Chateau, so that our guests can see different kind of homes and decors and meet local people. On Thursday, we visit the city of Bordeaux, classified historical monument by UNESCO. This day includes a visit and lesson to a respected local chocolate maker (this family has been making chocolate since the 18th century) followed by a cheese tasting in the 18th century cellar of an “affineur”. The afternoon is followed by a visit to one of Denise's family 18th century Chateaux in the Pessac Léognan appellation, followed by a formal dinner in our home. Guest depart on Friday morning. The price of the tour includes lodging, all the wines, all the meals, and local transportation. Travel to Bordeaux and transportation to and from place of arrival and departure (train station and airport) is not included. "You said that there would be very special people and experiences. You said there would be sacred moments and this was true. You satisfied all our needs and desires - physical and spiritual - really it is so rare and so wonderful"
"It is possible to spend an insider's week in Bordeaux. Jean-Pierre and Denise Moullé thought so and devised a program including everyone of those high points"
"Those who prefer a broader approach might consider a program that garnished the wine study with cooking lessons, sightseeing…It is the creation of Jean-Pierre Moullé, a member of one of Bordeaux's most active wine families"
"Jean-Pierre Moullé, who has spent years cooking at Chez Panisse, is an expert fisherman, hunter and regional cook. The couple will guide you through a week of foie gras and duck confit in private homes and restaurants, Chateaux great and small, local markets, cultural excursions, wildlife field trips…I can't think of a better opportunity to get inside the food, wine and cultural worlds of Gascony"
er energy is boundless and she cares about us at outrance!" "Our trip with you remains our all-time favorite"
"Your talent for making everyone feel pampered and special was so nice. You should feel very proud of what you have done"
"My week in your hands was memorable in so many ways: the best combination of food and wine in my experience…and an acceuil beyond compare"
"From the very moment, you met us at the airport in Bordeaux to the farewell dinner, the learning, the experiences, the surprises, the joys and pleasures never ceased"